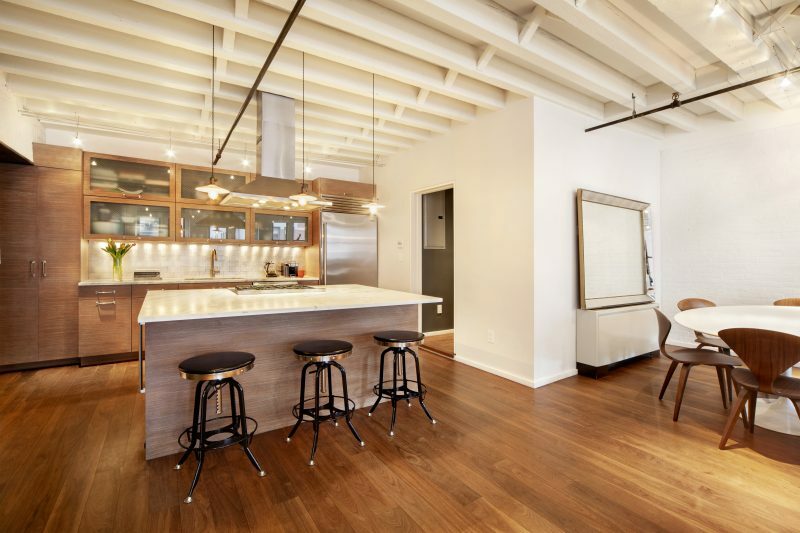 This beautiful Tribeca loft was renovated to the highest standards while preserving and showcasing its original details and character. The turn-key home is the epitome of downtown luxury loft living, blending refined modern design with a cool industrial aesthetic. The light-filled living area has white brick walls, wide-plank solid walnut floors, high ceilings with exposed beams, and 6 large windows. Adjacent to the living room is a quintessential chefs kitchen with a large center island, Calacatta gold marble countertops, stainless steel Wolf stove, Sub-Zero refrigerator and wine storage, and ample custom cabinetry. The spacious master suite has abundant closet space and a dressing room, and a serene limestone bath with double vanity and high-end fixtures. The second interior room offers flexibility and functions well as a bedroom, den, or home office. 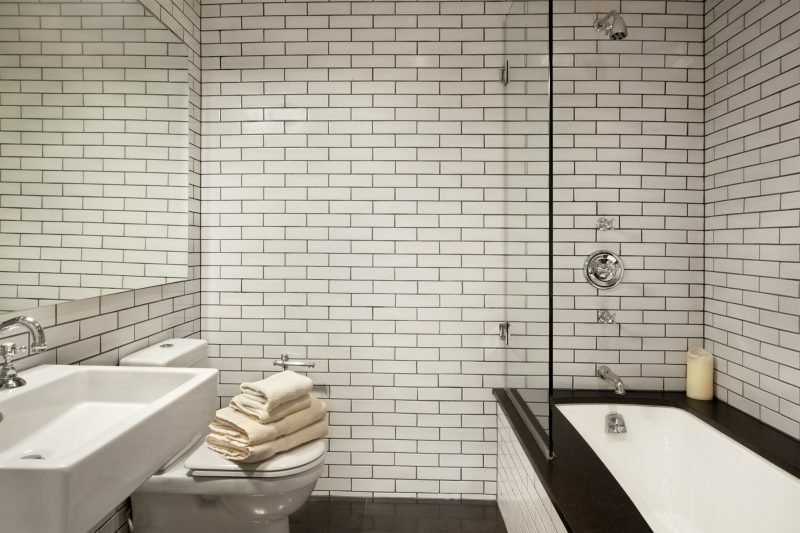 A large guest bath has a cool downtown feel with dark grout subway tiles, grey stone floors, and a soaking tub. Laundry area with Miele washer/dryer. Fully wired for A/V. 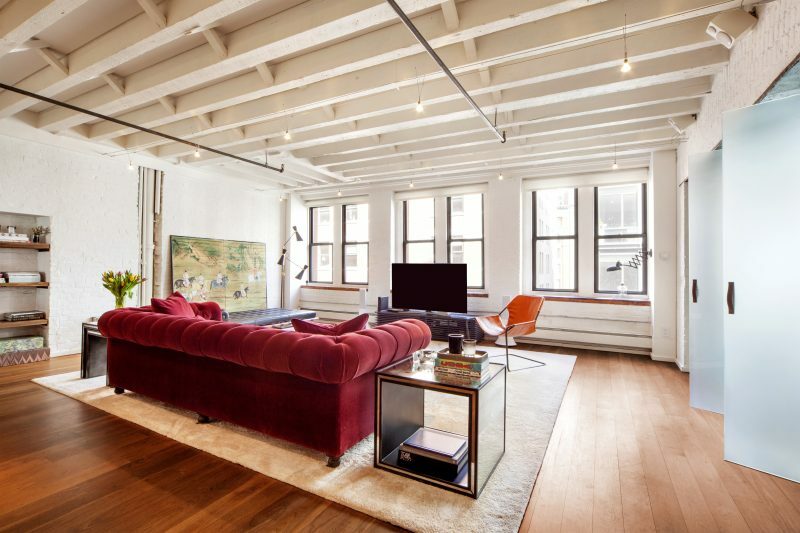 The building is a turn-of-the-century Tribeca warehouse converted into a boutique residential co-op, with 2-3 apartments per floor, private basement storage, and a part-time super. 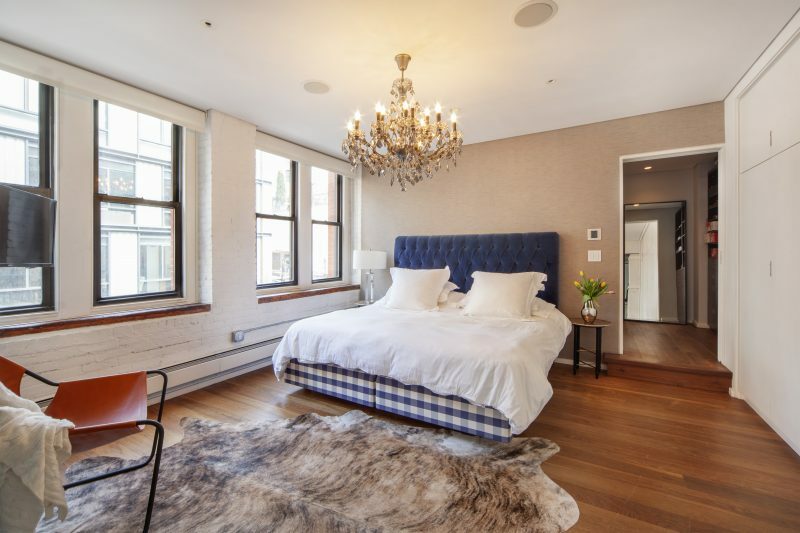 Located on one of Tribeca’s most coveted cobblestone blocks, it is perfectly located amid some of Manhattans best restaurants and shops, a nearby Whole Foods, Hudson River Park, and fantastic transportation access. This property is listed for $3.2 million with Kemdi Anosike of Warburg Realty.